Sulfite is an oxidized form of sulfur that has reductant, antioxidant and antimicrobial properties. It is added to a number of foods and drugs as a preservative. Small quantities are formed endogenously and detoxified by sulfite oxidase, however, exogenous exposures are associated with allergic reactions. The molecule is very reactive. It is oxidized by oxygen in aqueous solution which causes it to participate in a number of free radical reactions. 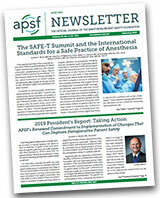 The risks of sulfite in drug formulations remain unclear. Drug containing sulfites should be used as a second choice. 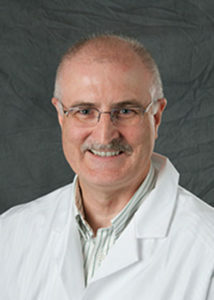 Max T. Baker, PhD, associate professor – Dr. Baker is a researcher in the Department of Anesthesia at the University of Iowa. His work has focused on anesthetic metabolism and toxicity, synthesis of new fluorinated compounds as anesthetics, and propofol-related phenols as antiseizure agents. Dr. Baker has studied propofol emulsion stability and the chemistry of metabisulfite in propofol emulsions. In addition to numerous publications, Dr. Baker has 13 issued patents, and is involved in teaching and startup company efforts at the University of Iowa.